5 things I wish I knew before I started sewing. 1. It’s ok to mess up. We’ve all do it. We’ve all piled so much pressure on ourselves and when something went wrong we left the unfinished garment in a crumpled mess on the floor in a corner. I’ve admitted defeat on one or more handmade garments. I’ve still got to pick them up and see what I can do to rectify the mistakes but for now, they sit it a small pile away from my view! At the moment I’m amending a shoulder sleeve due to them being lopsided – don’t know how I managed but this is going to be worthwhile in the long run as it’s one of my favourite makes so far despite the sleeve issue. Making mistakes is also learning from them, how else are you going to learn and stretch that skill base? I’m very lucky to have such a good teacher at the sewing class that I go to. 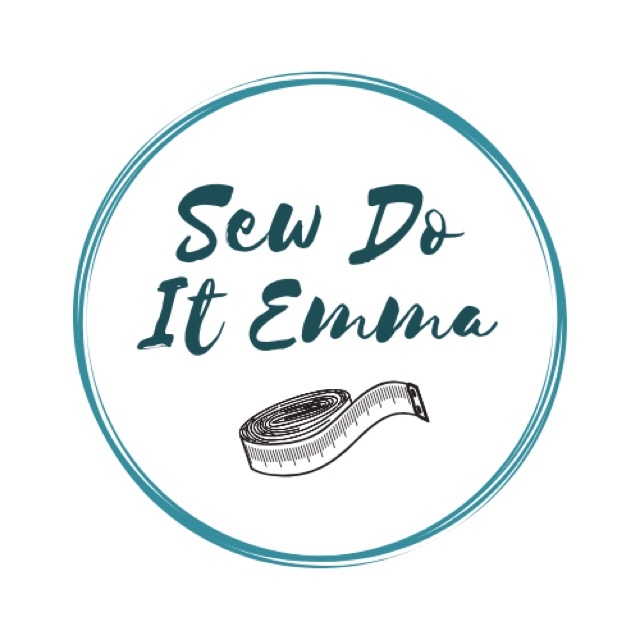 I also have a couple of very good sewing buddies I can bounce off ideas and problems with alongside a fantastic community on Instagram too. Pattern sizes are completely differencing to ready to wear sizes (RTW). Please don’t buy a pattern and go on you RTW as you’ll have a garment that won’t fit once you put all that time, effort and lovely material (and dosh!) into it. Measure yourself. Take that tape measure (grab a friend if you need help!) and jot down your measurements. Pattern companies can differ in finishing measurements, so check each new pattern before you start the project! Again. Check, check, check! Read your instructions a couple of times before you even start the process of cutting out. Highlight the seam allowances on each step. Get yourself a seam guide and test to see if your seam allowance is really 1/4”. Same with 1/2″ and so on. When you find the spot on your machine that is 1/4” mark it with washi or masking tape that way you won’t forget where it is. 5. Invest in a basic sewing kit. Scissors (Straight, pinking, little snippers for cutting little threads and ones for paper), Measuring Tape, chalk, pins and a seam ripper is all a good start and then you can add more, such as hand sewing needles, extra bobbins (make sure you get the right ones for your machine as there are not universal where as are machine needles are), pin cushion (homemade or bought). This list could go on for miles (trust me!) but get the basics and add from that, which should keep you right!